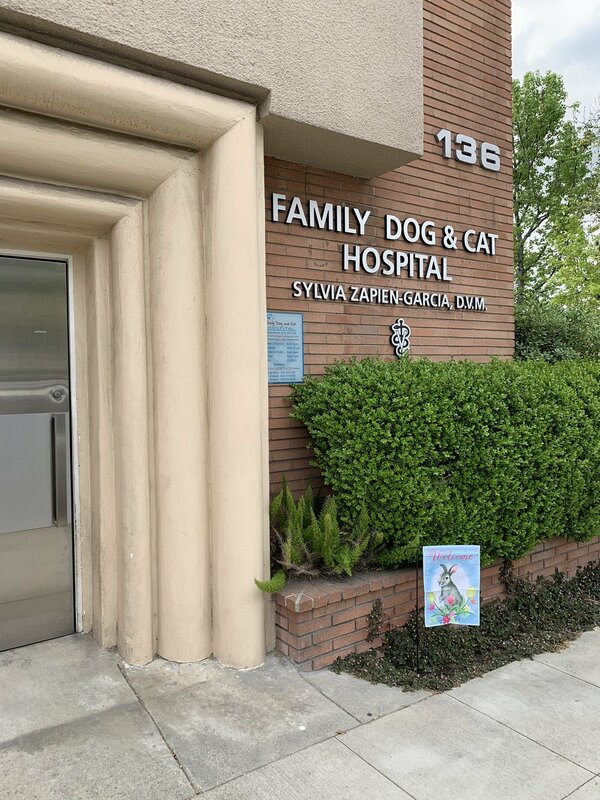 Family Dog and Cat Hospital is located in the heart of Old Town Monrovia in a charming brick building, just South of the Monrovia Library Park playground and the book drop off. Lime Avenue is a one-way street, easily accessible by using Primrose Avenue. We have a small parking lot to the west of our building for our clients, as well as a larger shared parking lot to the east of our building.